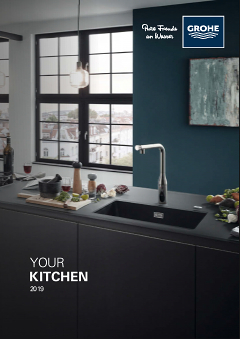 This kitchen tap from the Europlus-series has a 140° swivel, medium high spout. Allows you to easily fill large pots or buckets. And that's even easier thanks to the GROHE SilkMove technology, which allows you to control the water volume and temperature smoothly and accurately. Finished with shiny GROHE StarLight chrome, this tap is also a very beautiful appearance in your kitchen.